Layer up, layer up, it's getting cold out. Layer up, layer up, that's how I warm up. Ok, Rihanna mode aside, If you hadn't felt it yet, I'm sure you're feeling it now. It's cold up in this city. Just because the temperature is dropping doesn't mean you can't be stylish. Do not sacrifice being dapper for the weather, instead let it fuel you to learn about weather appropriate fabrics. Don't settle for the baggy-streetwear-jogger-sweatpants look for the next 6 months, I'm sure it's not how you dapper folks want to be perceived. Now, I'm not saying you should throw away your sweats - they will keep you warm at night, but what I'm saying is you shouldn't wear them out unless you're dressing them up and looking your best. This #ootd is about adjustments. I'm wearing black denim jeans to allow the more vibrant colors to pop out. You can always count on white shirt to help fancy your look up. I really wanted to have a strong presence which is why I chose this very bright orange knit sweater - it looks stunning, and it's warm. 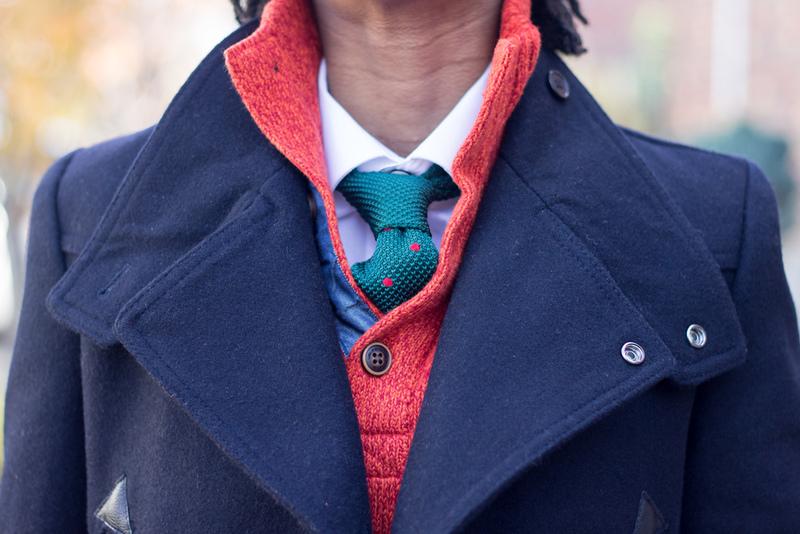 As fair as accessories, I kept it very simple and elegant with this my sleek watch and this green knitted tie with orange polka dots. 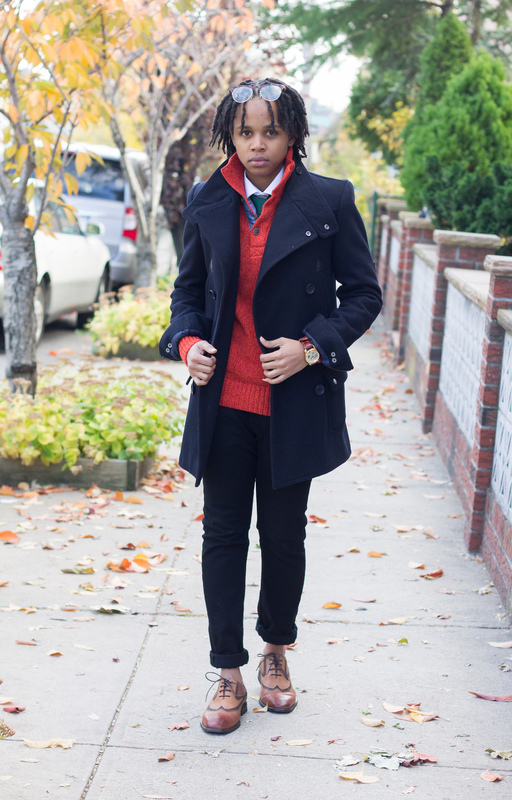 How about that pea coat? This story is that of how things change all the mine. Certain changes are beyond our control, and we need to be able to swiftly adapt to those changes.